Adding Vision X Lighting to any 2007-2014 Jeep Wrangler JK is easy with the new, sleek, no-drilling, Light Bar Windshield Mount and A-Pillar Mounts. 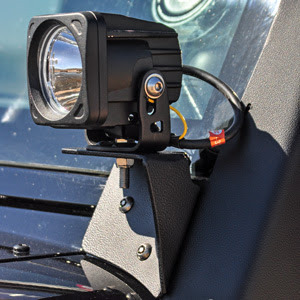 The Light Bar Windshield Mount and A-Pillar Mounts bolt directly into existing holes allowing for quick installations, while their steel CNC-formed construction will ensure stable and secure mounting for even the roughest excursions. Each mount is also black powder coated for a long lasting durable finish. 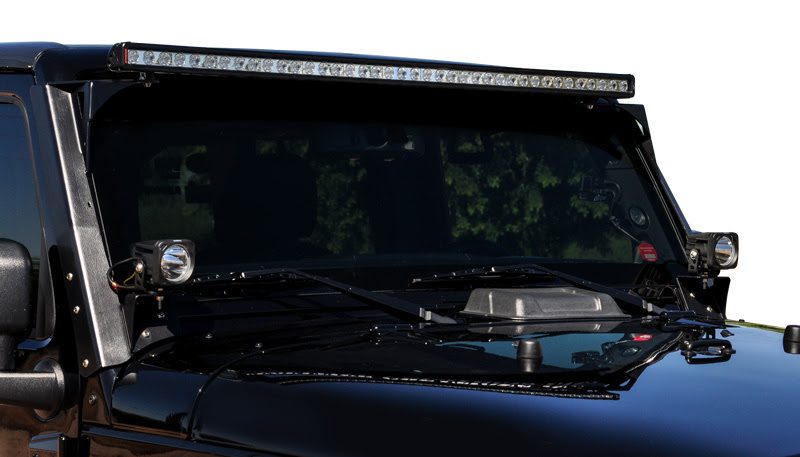 Vision X Lighting’s Jeep Wrangler JK Windshield mount is specifically designed to mount the 50″ Xmitter Low Profile Prime Xtreme LED Light Bar (XIL-LPX3910) or the 52″ Xmitter LED Light Bar (XIL-1000), but adaptable for mounting traditional round style pod lights, like the Vision X Light Cannon Series or HID lights. The A-Pillar mounts are available in LED Lighting packages to place two Optimus Series (693′ of Usable Light, 1720 Lumens per Set) or two 4.5″ Light Cannon Series (1000′ of Usable Light, 5,000 Lumens per set). All new hardware is provided for installation.